I've been trying to find some great rentals, since I'm weighing lots of different options for spring break (yes, I'm incredibly behind)...and I stumbled upon the Coastal Living Magazine website . It's a great resource. 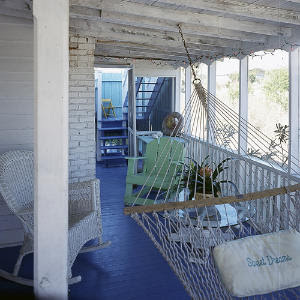 Check out this property in Tybee Island that I found--I've never even heard of Tybee , and it seems so charming. And it's very close to Savannah--just 18 miles away.